Mike Anderson Chevrolet of Merrillville, In. 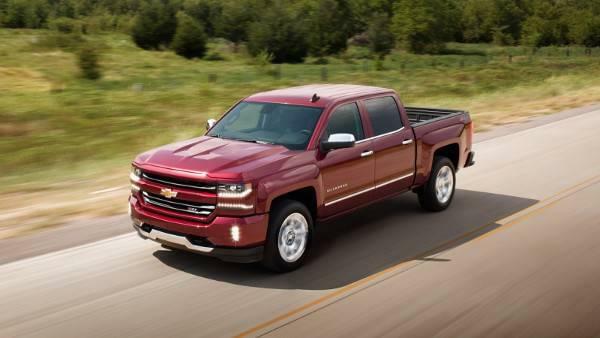 is known as “The Chevy Giant” for a few great reasons, but primarily because you won’t find another dealership anywhere around with this kind of grandiose inventory of both new and pre-owned vehicles. At Mike Anderson Chevrolet, you will find a friendly, experienced and devoted staff that’s dedicated to giving drivers of North West, Indiana the best dealership experience they have ever had, and to make those drivers one of the Anderson family. The dealership offers every service designed to tailor to every auto need possible. We offer amazing deals on new and pre-owned vehicles, have an award-winning service department with factory-certified automotive technicians, and an expertise and friendly finance department. Our number one goal is to ensure every step of your ‘auto need process’ that is served stress-free and met with a friendly face. We have the best new & used inventory, the best service department, and the best service department for a reason. We have the best customers! At Mike Anderson, every department is the best at what they do, that is what makes us “The Chevy Giant”. To encourage everyone in all of North West Indiana to come to Mike Anderson Chevrolet, we are always offering incredible specials to get you into that car, truck, SUV or van of your dreams. One way or another we are going to find a way. Maybe we can use a new vehicle special, or maybe we can use a military discount, college discount, demo special, service coupon, and trust us when we say we will find a special we can use for you on your dream vehicle. When you bring your car to Mike Anderson’s Service Center, you experience award-winning service. We offer state-of-the-art diagnostic and repair equipment, and genuine OEM parts shipped directly to us from the manufacturer. In addition, your vehicle will be handled with the utmost care by factory trained and certified technicians and they know how much your car means to you, like most people it’s an extension of the family and we treat it as such. For a list of services we offer please check us out on the web or contact the service center today, we are waiting for your call. Our finance team is the best in the service. Our number one goal is to make sure that you can find an auto financing plan that works with your budget, and we will work with you until we find one that does. We are that dedicated to service and to you. Our experienced finance managers are the lead professionals in figuring out a workable payment plan for your new Chevy vehicle. We even offer our own financial services that offer extended warranties and a wide range of money saving programs. We are also here to relieve your stress and offer service with a smile. We offer everything a great car dealership should because we serve such a wide territory and we make it a priority to make every single person a satisfied customer. We recognize some people are driving half an hour or so to check out our vehicles, so it is our mission to make the trip worth it.